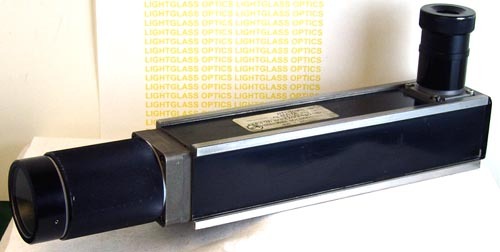 Specified by the Navy for special use, this K&E 71-IRD-2041 Alignment Telescope is unique in that it has a precision-ground rectangular body-very much like a precision level-in which the optical axis is pefectly aligned with the mechanical axis. Simple and robust, it focuses from 84 inches to infinity. To ease simplicity of use, it has a 90-degree eyepiece which has a calibrated crosshair reticle.